Experience a life-changing transformation at the Chi of Life weight loss and health retreat in QLD, Australia. Chi of Life is a live-in residential program where you’ll be educated, empowered and inspired by our friendly team of professionals. Unlike a weight loss camp, we’ll help you achieve weight loss goals that make for long-lasting results. What makes us different to other weight loss & health retreats? Chi of Life doesn’t use a one-size-fits-all approach; our experts tailor individual weight loss programs for each participant so they can achieve the best possible result. Read the many success stories from our weight loss and health retreat here. We welcome men and women of all shapes, sizes and fitness levels to join our successful health retreat on the Sunshine Coast. With small groups of just 1-8 people, you’ll receive full attention and support for the duration of your stay. With a comprehensive and holistic approach to weight loss, we will guide you on a journey that reaps long-term success. Our team specialises in obesity and individuals weighing over 100kg, with our weight loss retreat designed to maximise results for those wanting to lose weight and keep it off. We not only focus on the physical aspects of your weight, but also your mind frame and mental health. We work with you to find the reasons why the weight gain occurs as it is usually a symptom of underlying issues. We work at a cellular level to identity the potential causes of slow metabolism, weight gain and fatigue to restore your health and vitality back to optimum. With a strong focus on mindset, we’ll be able to discern the causes of binge-eating and comfort-eating to give you the tools to take control of it for lifelong weight loss results. • EFT (emotional freedom technique). Learn more about what’s included in our 6-day, 13-day and 20-day weight loss and health retreat programs here. Losing weight and adopting a healthy lifestyle is no simple task. By now you have probably tried out several diets, weight loss supplements, given lots of different workout routines a try and probably still don’t have the desired results, right? If yes, you need the help of a professional lifestyle and weight loss expert who is willing to walk a journey with you and help you transform your body and your mind. Our weight loss retreat in Australia is the place where you will find all the help, coaching and training you will need to fully transform your physical and mental wellbeing. Luxury accommodation – Our guests stay in beautiful rooms that include all the luxuries you would expect from a guesthouse or beach house. Swimming pool – Enjoy refreshing swims and water activities in our beautiful swimming pool. Enjoy the beach – Take long walks on the beach where you can enjoy the most beautiful sunset scenes in the world. Exhilarating activities – We expose you to lots of fun activities such as beach walks, hiking, boxing, hill sessions, cycling, kayaking, tennis, yoga and much more so you can discover a physical activity that you are passionate about, and that will promote long-term weight loss. Relaxing activities – Our weight loss camp also consists of lots of relaxing treats such as an infrared sauna, magnesium baths, sun lounges and much more. Chi of Life Retreat is the one place where you can really have it all. You can enjoy a refreshing holiday, life coaching, mindfulness coaching, spiritual coaching, and all the best activities to help you lose weight. The change of scenery is just what you need to start a new and healthier lifestyle. Our setup is perfect for getting you started on a healthier life and the longer you stay at our retreat, the greater your chances will be of achieving long-term success. Health analysis – All our guests enjoy wellness consultations and live and dry blood analysis to determine your exact health needs and to identify underlying issues that are causing you to gain weight. Tailor fit meal plans – Meal plans are designed according to your individual metabolic type, your health needs and your specific weight loss goals. During your stay, you will get started on this healthier diet, and you will be taught how to prepare healthy meals for yourself. Personal coaching – Gwen, our founder, is a personal weight management and healthy lifestyle coach and she will design a tailor made fitness program to help you reach your full potential and will help you along your journey. Workout programs designed for weight loss – You get to enjoy lots of fun group workout programs such as yoga, gym sessions, tennis, kayaking, bike riding, beach walks, hiking and much more. Medical weight loss – Our weight loss retreat on the Sunshine Coast also offers medical weight loss treatments such as magnesium baths, infrared saunas, oxy-chi machine sessions and much more to boost your weight loss. Emotional wellbeing – Our NLP therapist provides “embrace change” and “meet your future self” workshops designed create change also private consultations are available including spiritual readings and energy healings and we will discuss all the best plans to help you transform your life for the better. It is time to stop wasting your time, money and efforts on ineffective weight loss programs and methods. It’s time to book your stay at the best weight loss camp in Australia for guaranteed results. Take a better look at our retreat and meet Gwen. Hear Jaime share her story and see how Chi of Life changed her life. Some of our clients talk about their experience at Chi of Life Retreat! 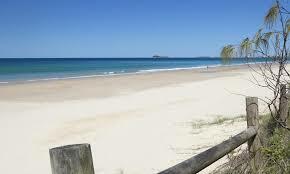 Chi of Life health retreat is located on Coolum Beach on the Sunshine Coast in QLD. One of the most stunning subtropical locations in Australia, this tranquil setting provides luxury, serenity and privacy in a secure, gated estate. With beautiful ocean views and abundant bird life, our health retreat offers an escape from buy, everyday life. With practical advice, education and workable solutions, participants can return to ‘normal’ life with confidence. We are committed to supporting you on your journey after you leave us – whenever you need us, we will be there to assist you. • Learn how to get food portions back under control and change bad habits. • Learn what foods work with your body. • Meet other people on the same journey as you in a small, intimate group. • Receive ongoing local support. • Learn how to manage stress. • Enjoy fun activities for all fitness levels. • We will teach you how and why you are in the position you are in and how to change your lifestyle for long-term wellness. • Enjoy peace of mind with our money-back guarantee. • Trust our outstanding 100% success rate. Our weight loss and health retreat provides expert personal trainers, chefs, nutritionists, wellness coach, massage therapists, yoga instructors, life coaches, an NLP therapist and a reike master – all dedicated to helping you reach your goals. • Learn new cooking skills and receive take-home recipes from our chef. You’ll receive a live and dry blood analysis from Australia’s leading wellness coach. This works to detect imbalances in your body and learn what changes are required to correct them. Our master NLP therapists help tackle underlying issues around weight loss, emotional eating and overeating. • We can cater for most health and medical conditions. Please speak to Gwen, our program consultant, for your suitability to participate in the program. Our dedicated team is committed to helping you achieve long-term, sustainable weight loss that continues after your stay long after the weight loss retreat has finished. Lose kilograms and gain years on your life with our holistic approach to weight loss. Make a positive change and jumpstart your wellness journey at Chi of Life. Chi of Life Retreat is proud to be a part of the House Call Doctor Local Access program.